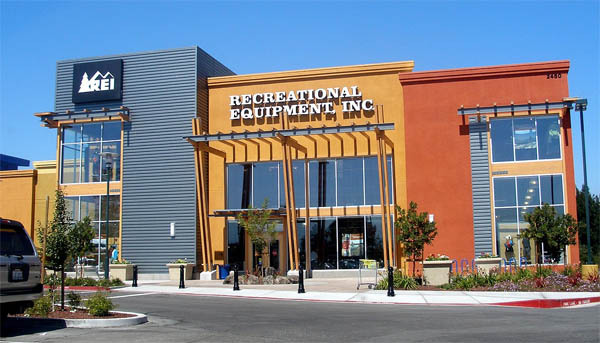 SEATTLE – REI Co-op is opening its first location in the state of Oklahoma, bringing a wide assortment of quality gear and expertise for the region’s most popular activities to Oklahoma City in fall 2019. The new 23,000 square-foot store will be located at the Belle Isle Station shopping center, owned and operated by Kite Realty Group . Prior to the store opening, REI plans to invest in Oklahoma’s outdoor community. REI works with local nonprofits in the communities it serves to steward and maintain local trails, parks and more. REI Oklahoma City will offer workshops and classes to connect people to a life outdoors. A national leader in outdoor experiences, REI helped more than 375,000 people across the country get outside through classes and vents last year. REI is a member-owned co-op, offering top-quality gear, expertise and experiences to connect people to a life outdoors. While anyone may shop at REI, members pay a lifetime $20 membership and share in the company’s profits through an annual dividend. In addition, REI actively works with nonprofits across the country to protect wild places and invest in spaces for outdoor recreation. The co-op annually gives 70 percent of its profits back to the outdoor community, and in 2018 is investing $8.8 million in more than 400 nonprofit organizations across the country. REI Oklahoma City will join five other REI stores in the region, including Plano, Texas (150 miles); Southlake, Texas (152 miles); Dallas, Texas (160 miles); Fort Worth, Texas (166 miles); and Overland Park, Kansas (246 miles). REI is a specialty outdoor retailer, headquartered near Seattle. The nation’s largest consumer co-op, REI is a growing community of more than 17 million members who expect and love the best quality gear, inspiring expert classes and trips, and outstanding customer service. REI has 154 stores in 35 states and the District of Columbia. If you can’t visit a store, you can shop at REI.com, REI Outlet or the free REI shopping app. REI isn’t just about gear. You can take the trip of a lifetime with REI Adventures, a global leader in active adventure travel that runs more than 170 custom-designed itineraries worldwide. The REI Outdoor School is run by professionally-trained, expert-instructors who teach beginner-to advanced-level courses about a wide range of activities. To build on the infrastructure that makes life outside possible, REI invests millions annually in hundreds of local and national nonprofits that create access to—and steward—the outdoor places that inspire us all.